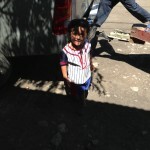 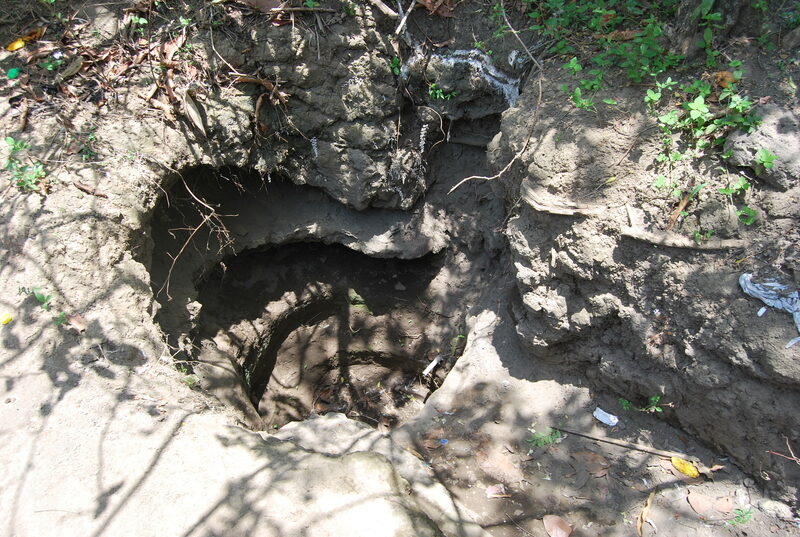 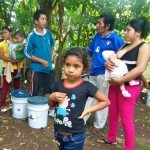 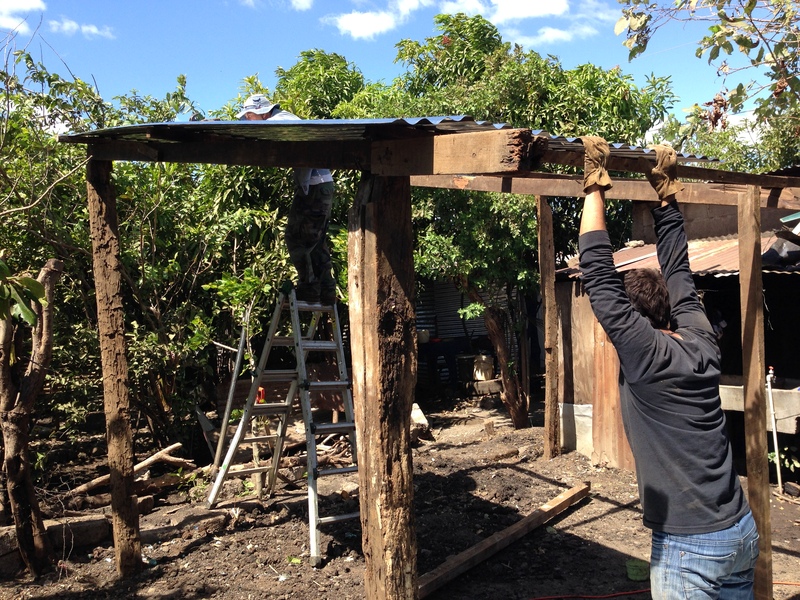 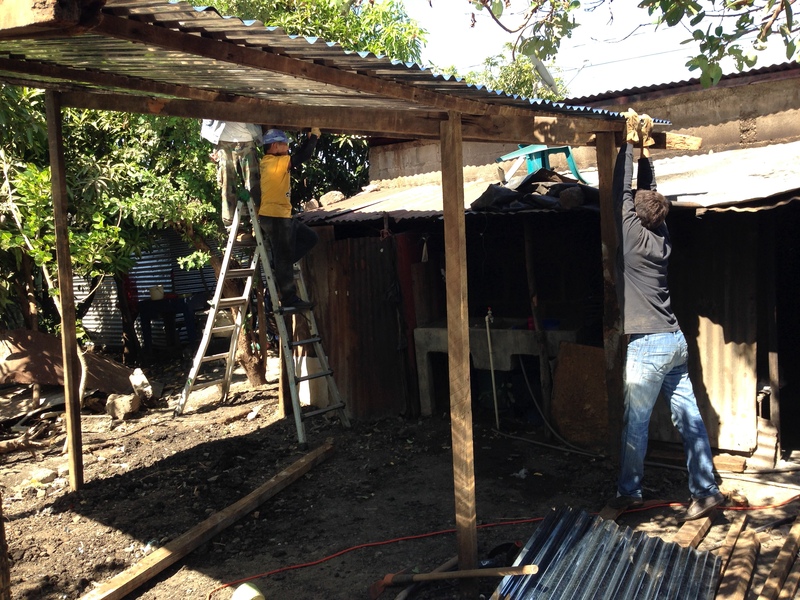 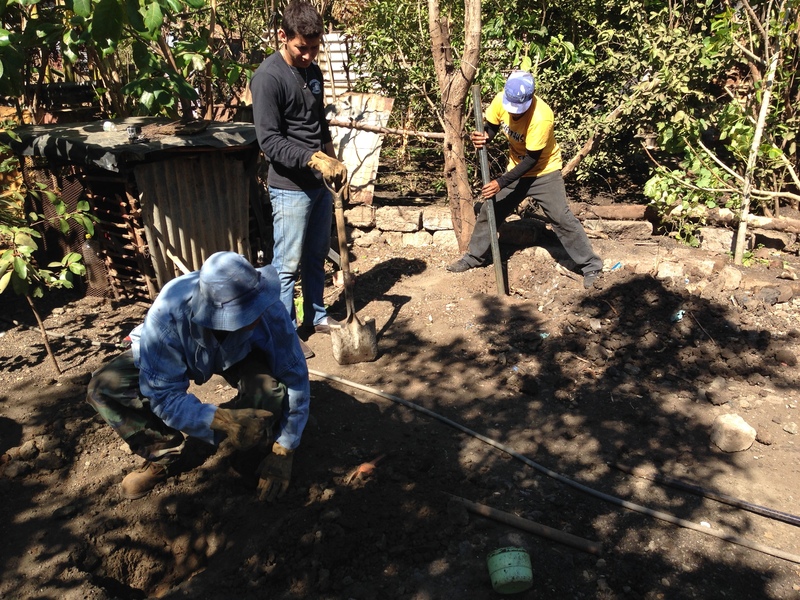 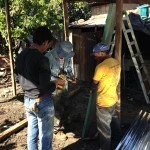 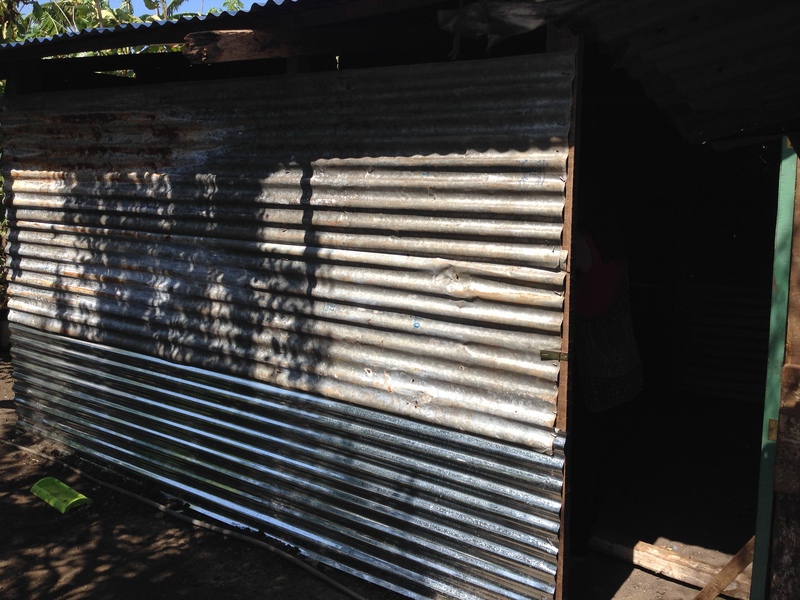 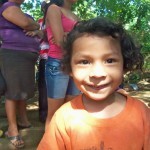 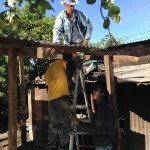 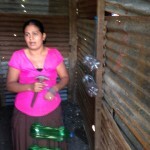 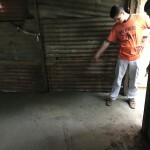 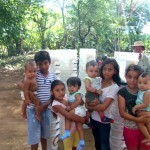 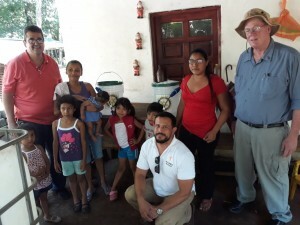 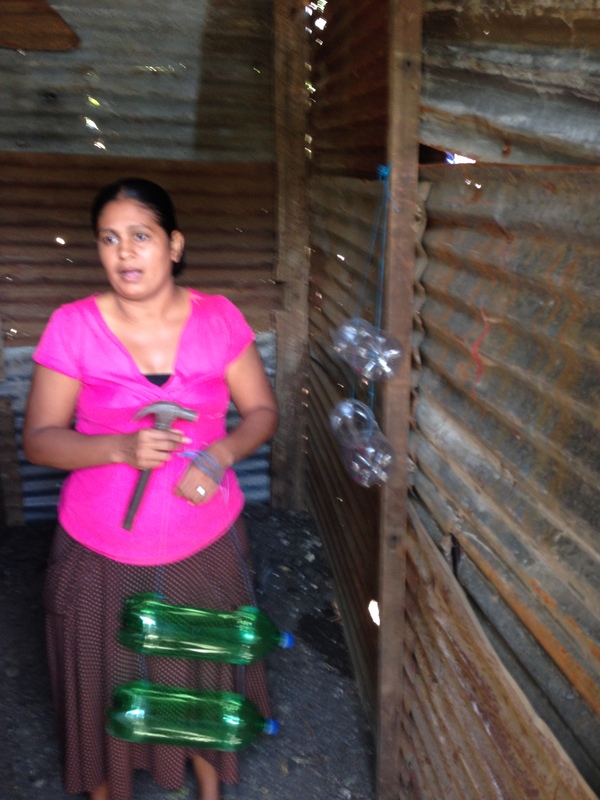 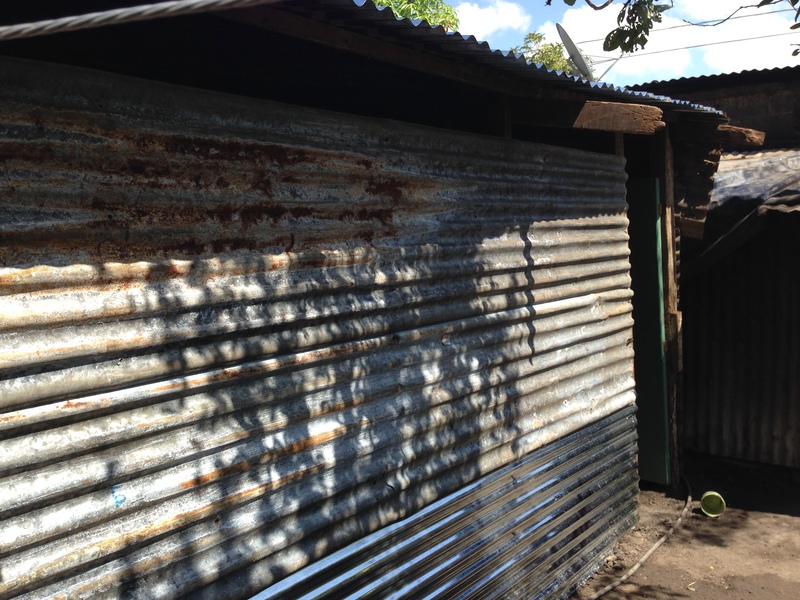 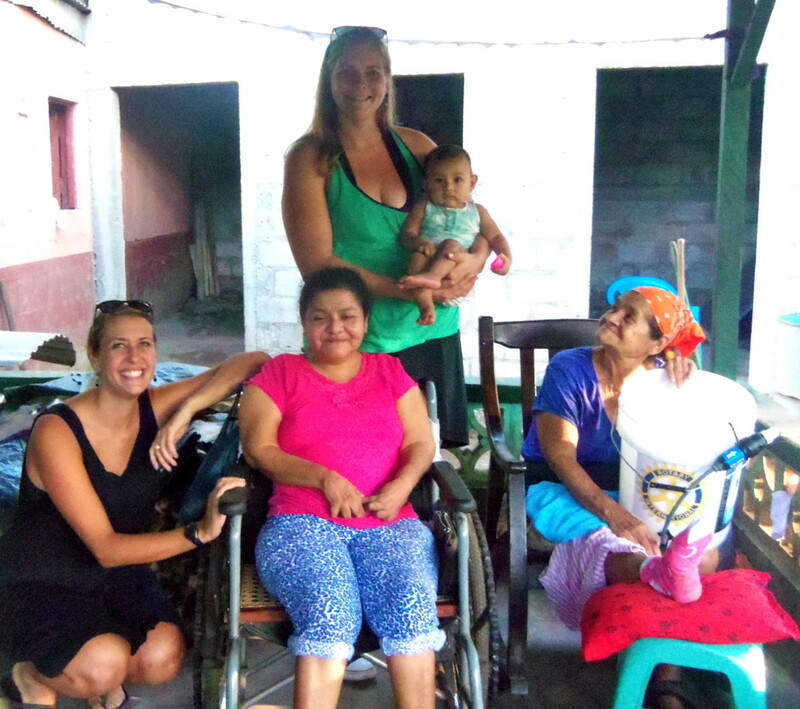 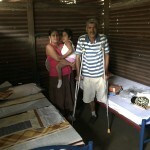 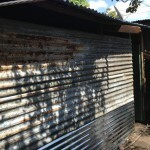 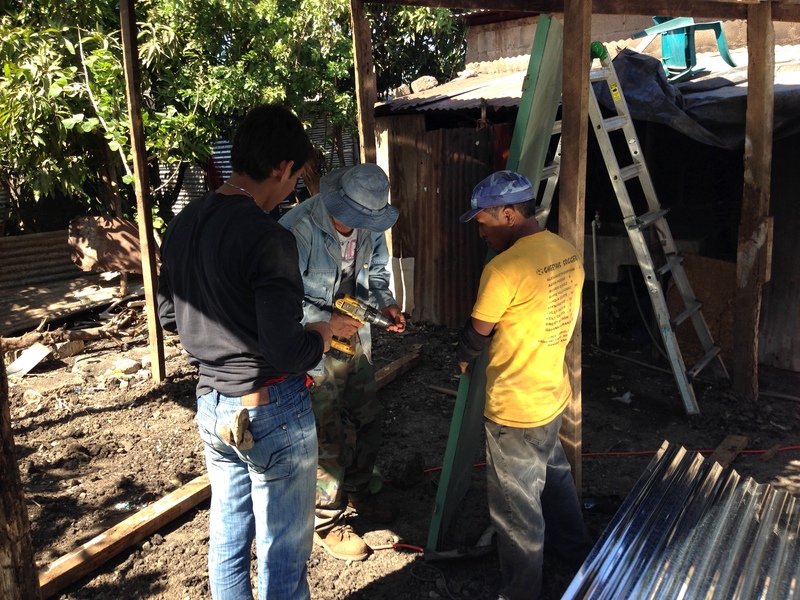 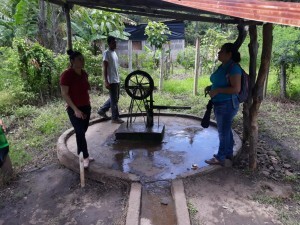 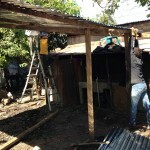 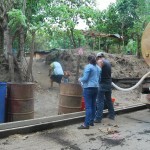 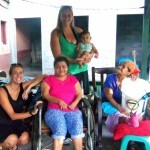 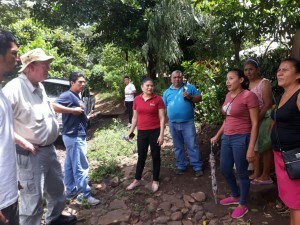 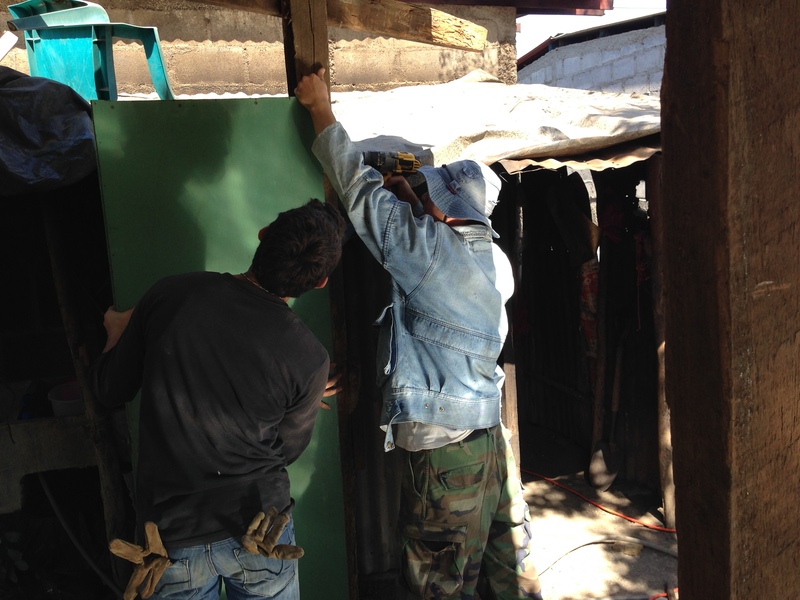 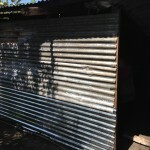 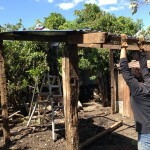 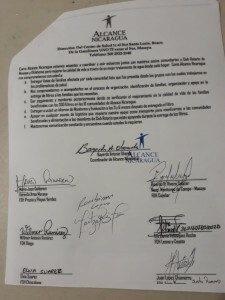 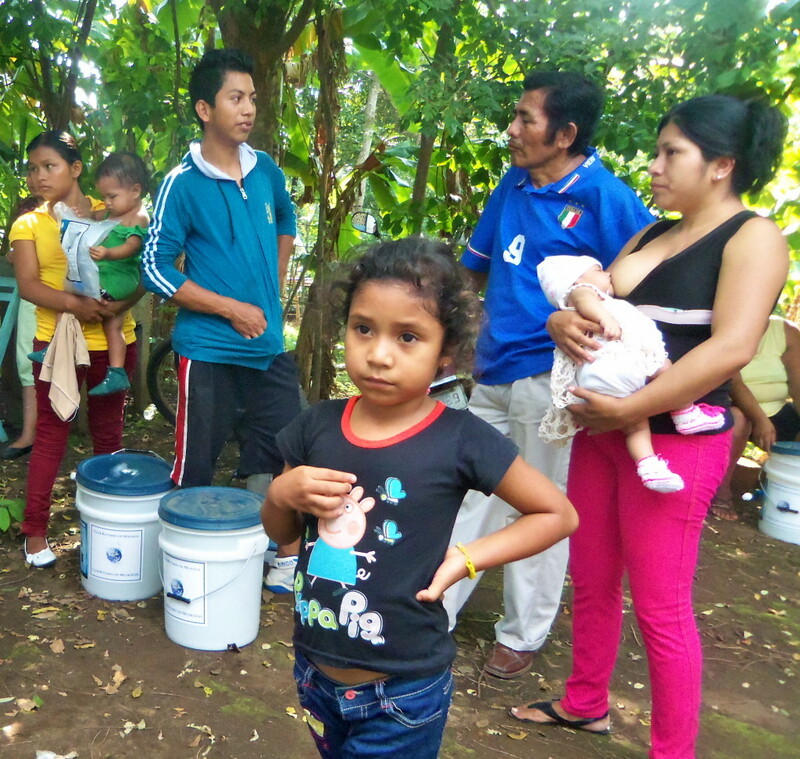 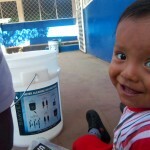 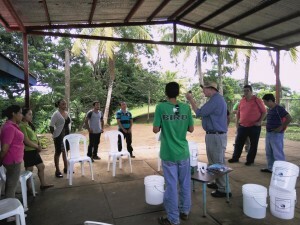 News and Updates « SAFE WATER PLUS(+), INC.
SAFEWATER PLUS is in Santa Lucia, Boaco Nicaragua. 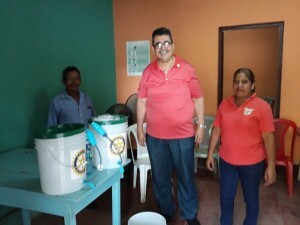 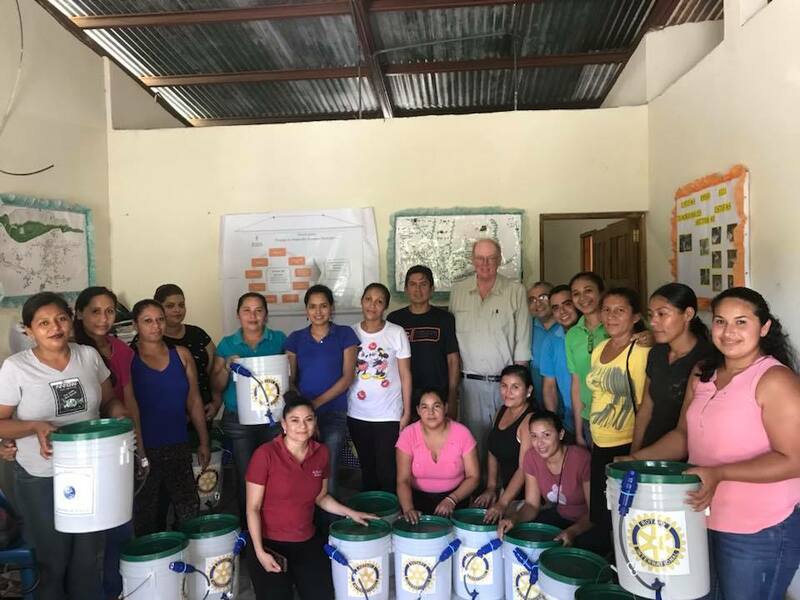 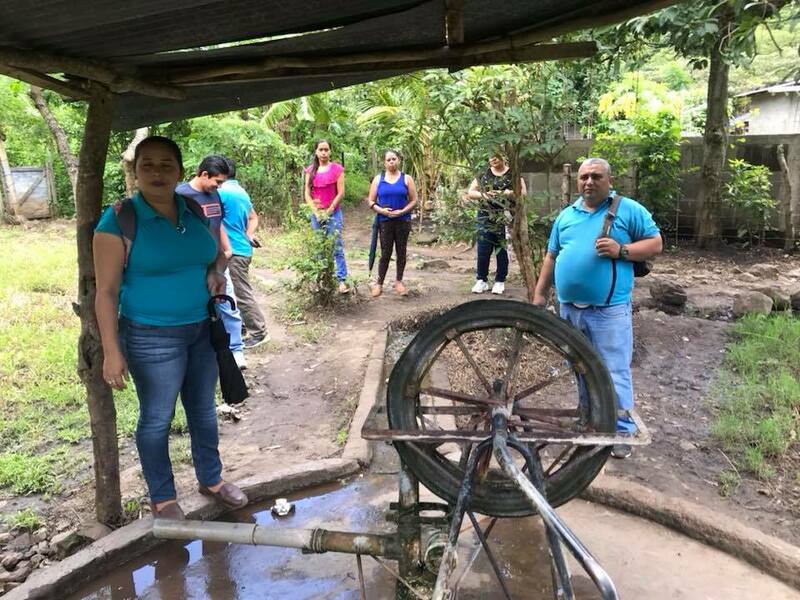 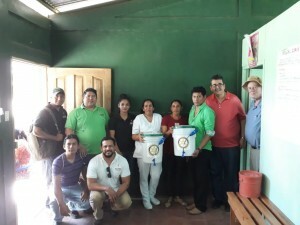 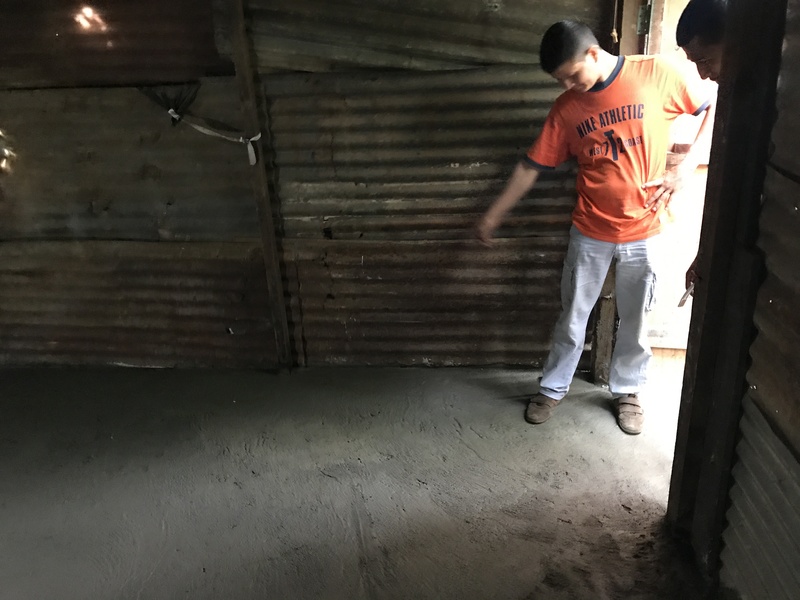 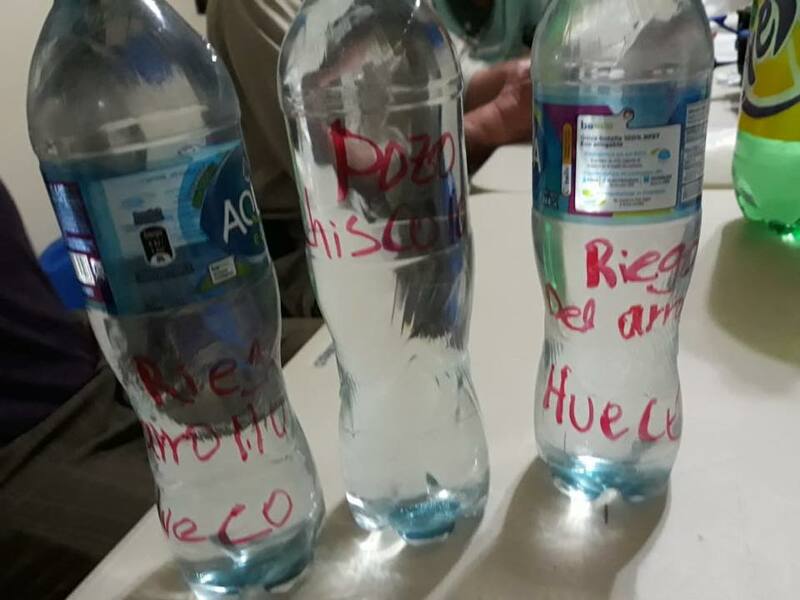 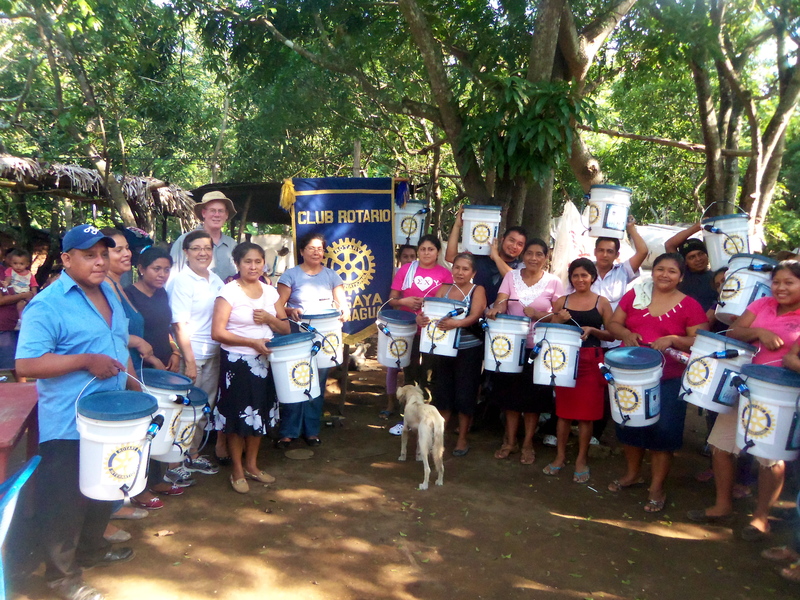 We are visiting 6 communities & their leaders with outreach group Alcance Nicaragua in preparation for water filter distributions in 2019. 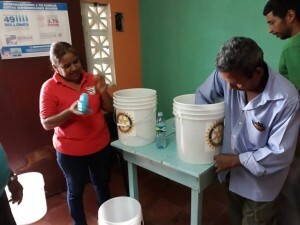 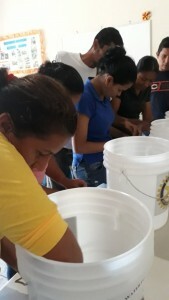 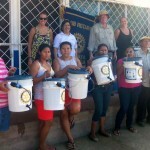 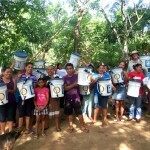 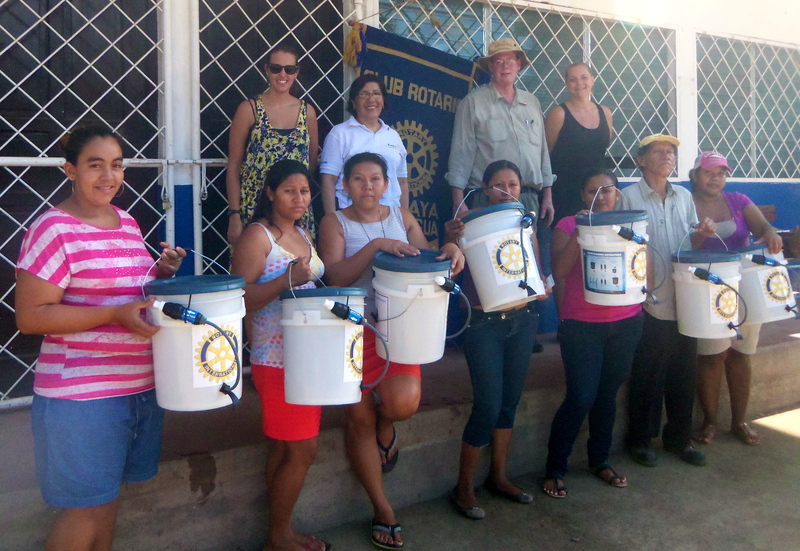 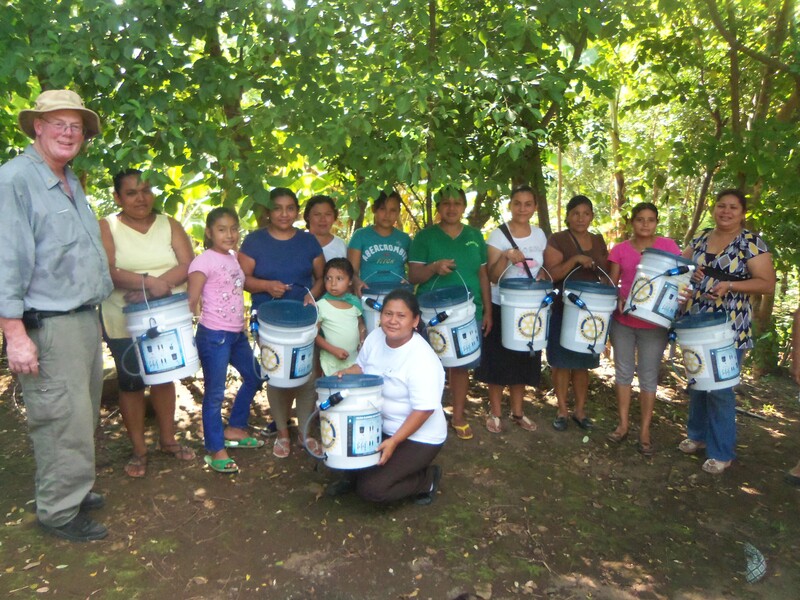 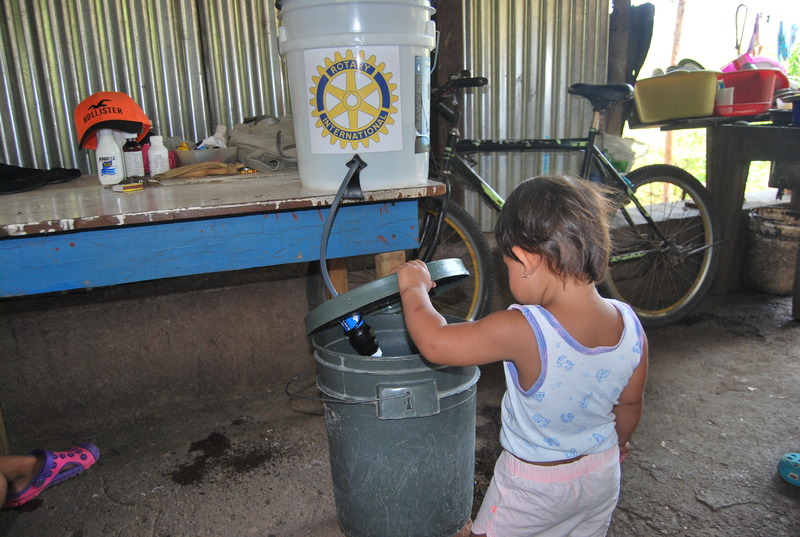 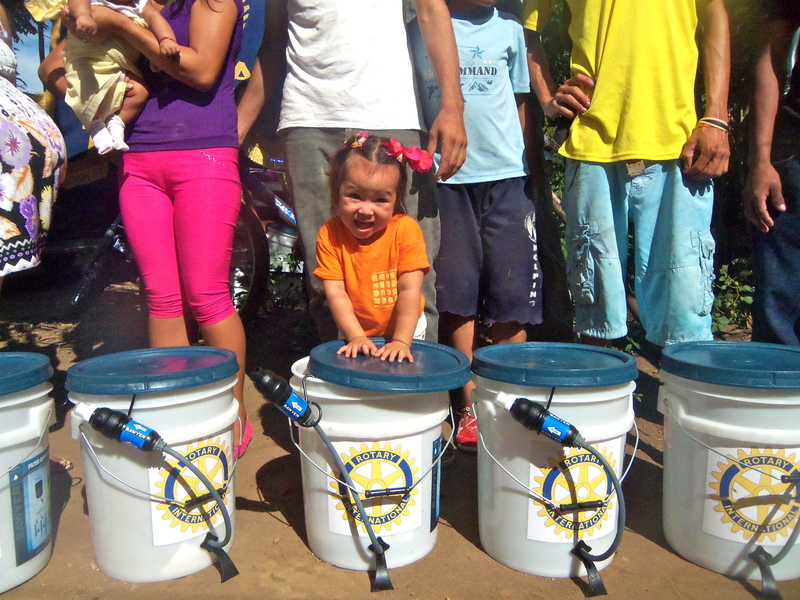 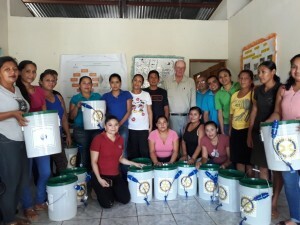 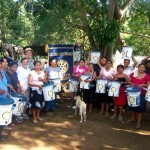 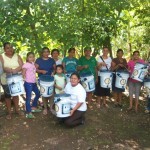 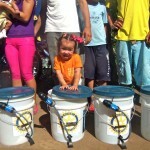 Each community received 2 bucket filters to introduce the local residents to new technology. 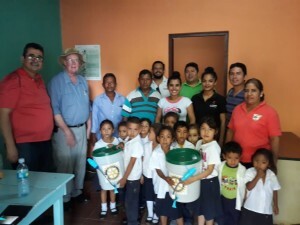 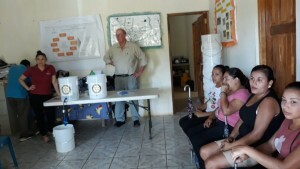 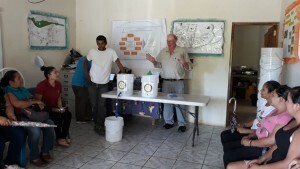 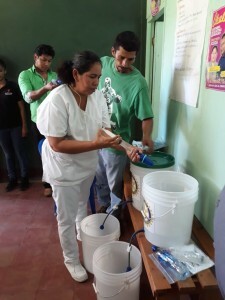 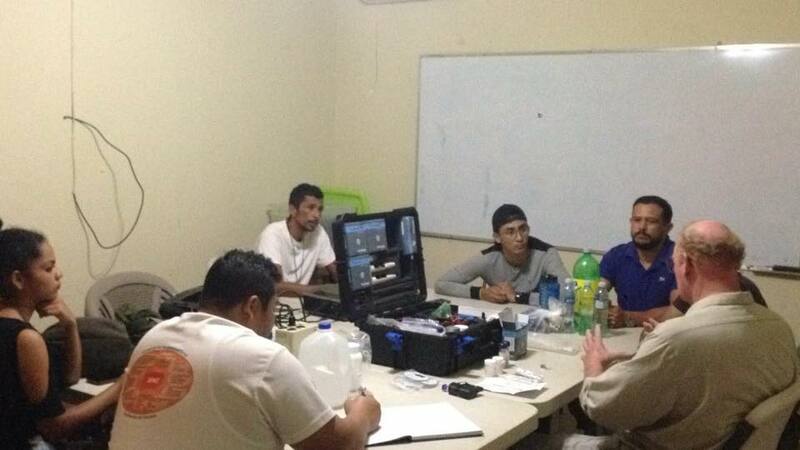 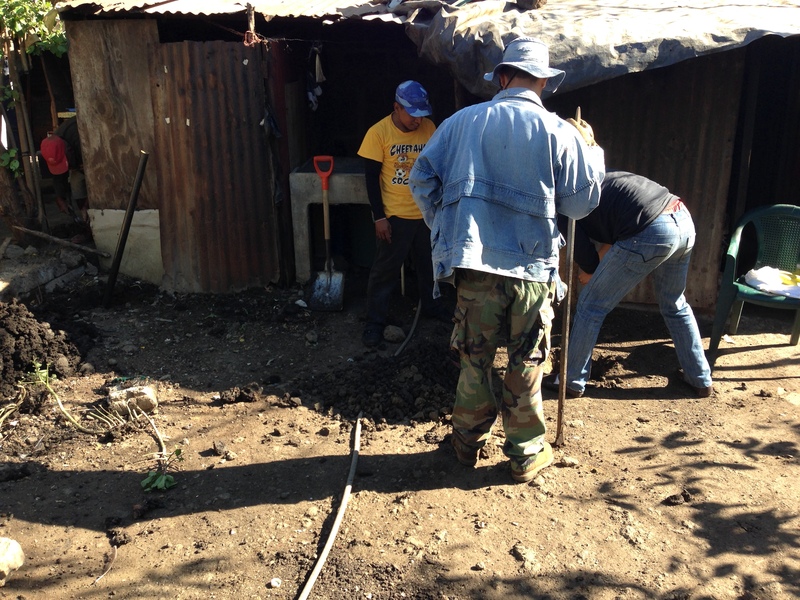 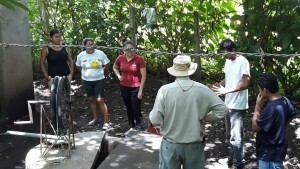 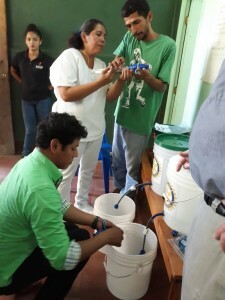 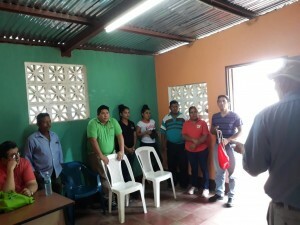 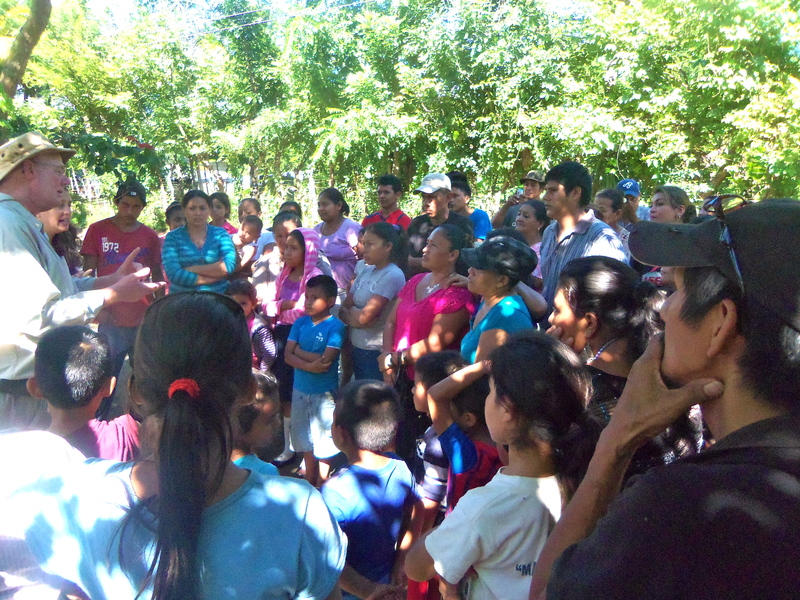 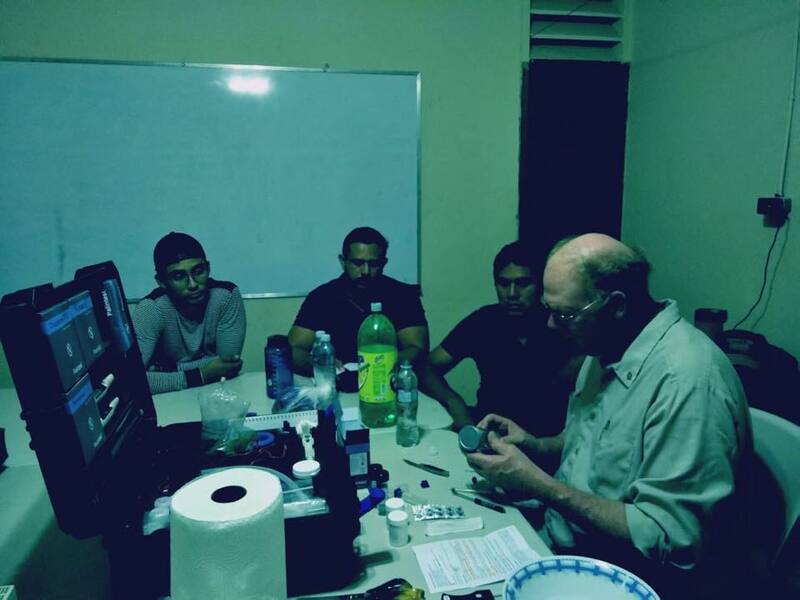 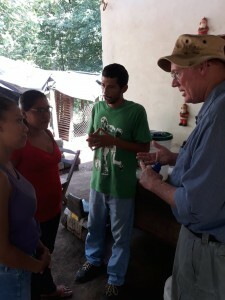 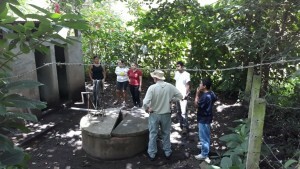 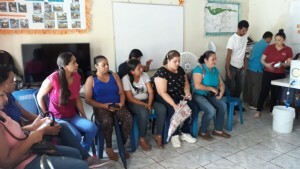 SAFEWATER PLUS teaching a class to Alcance Nicaragua personnel on basic water quality tests. 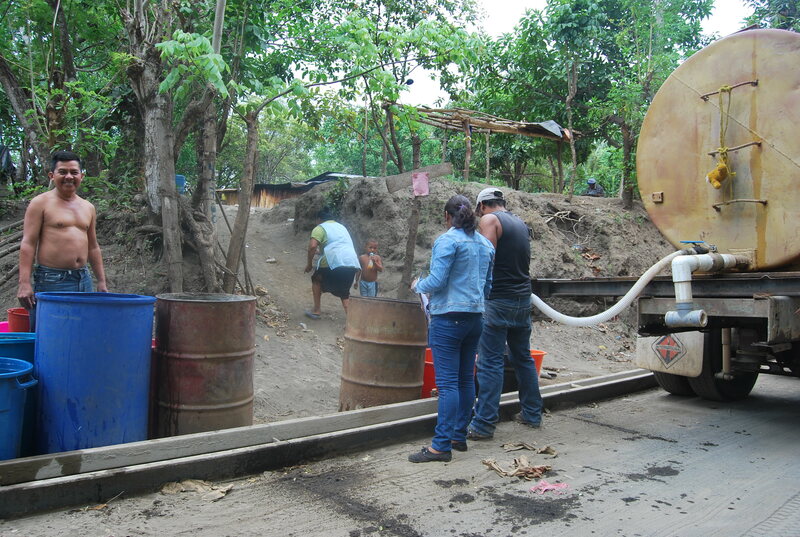 SWP(+) is loaning this technology so that Alcance Nicaragua can better determine areas the bucket filters will be most beneficial. 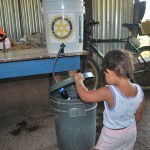 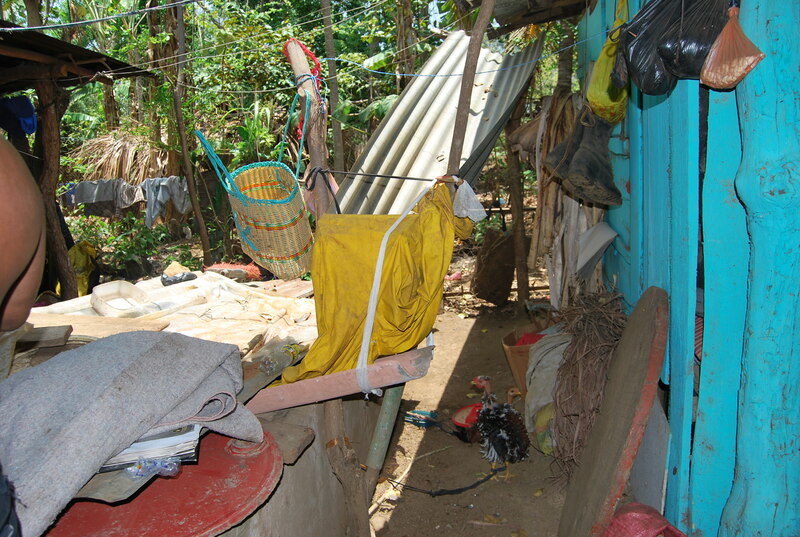 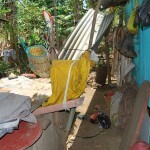 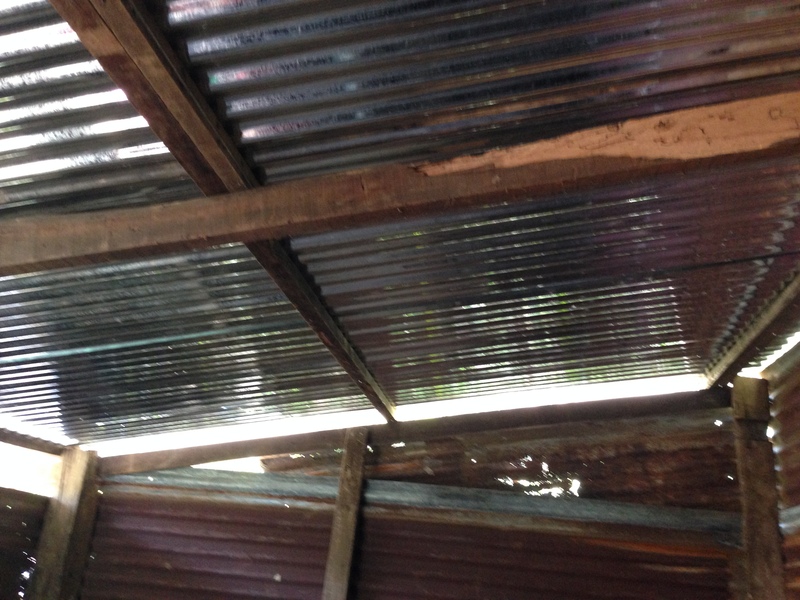 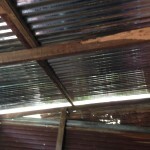 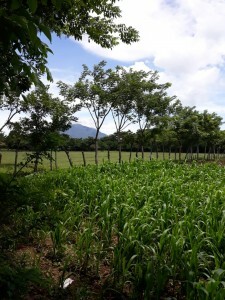 The rainy season in Nicaragua has been very wet. 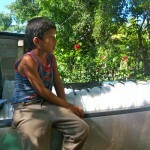 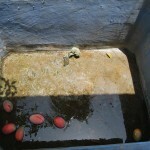 Upon arrival October 03, I visited Nayansi to find over 2″ of water standing in the floor. 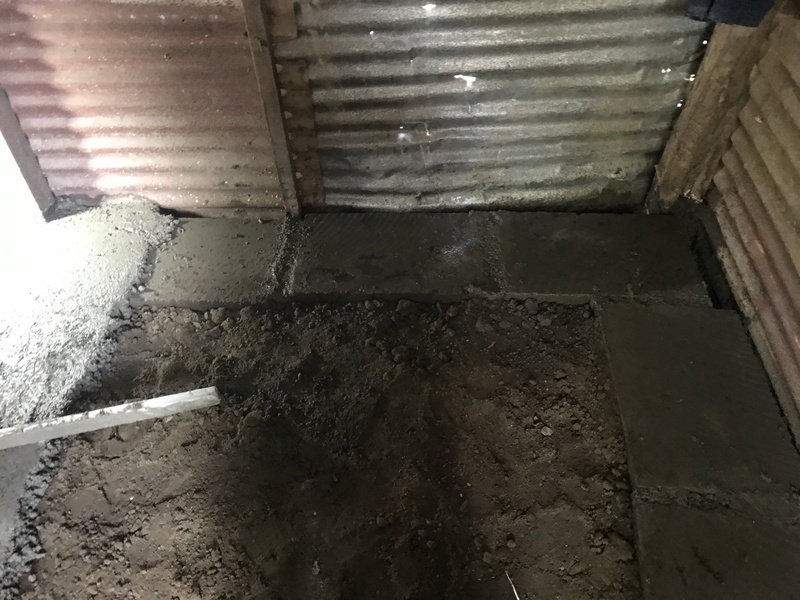 After reviewing the situation I determined we needed to work on the drainage outside the house & elevate the inside floor 10″. 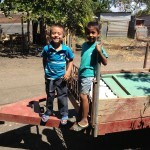 I brought in Javier a contractor I’d used in the past. 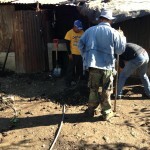 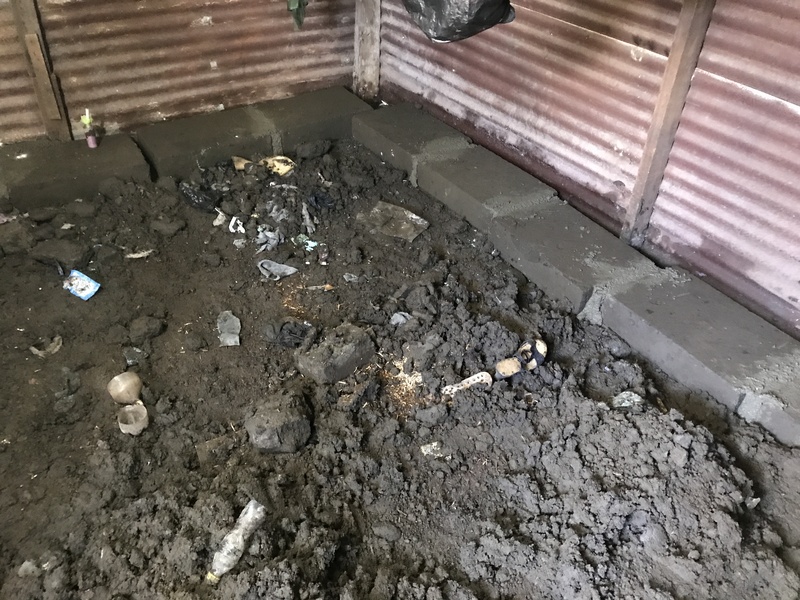 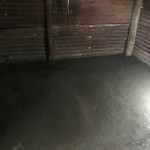 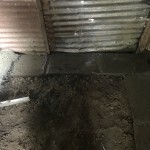 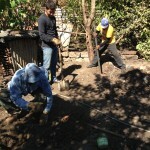 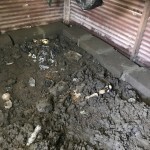 A footing was dug &b the mud in the house was excavated 18″ down to stable ground. 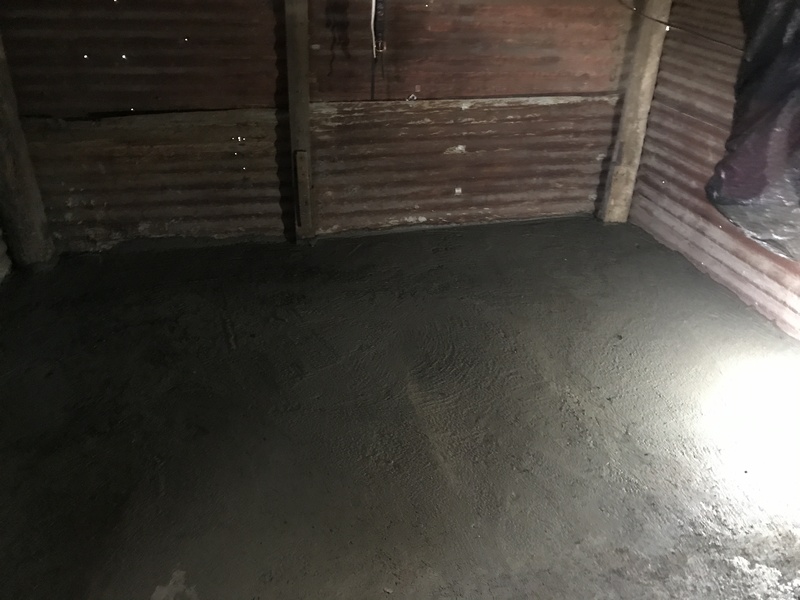 Gypsum was incorporated in with the select fill material to provide a good foundation. 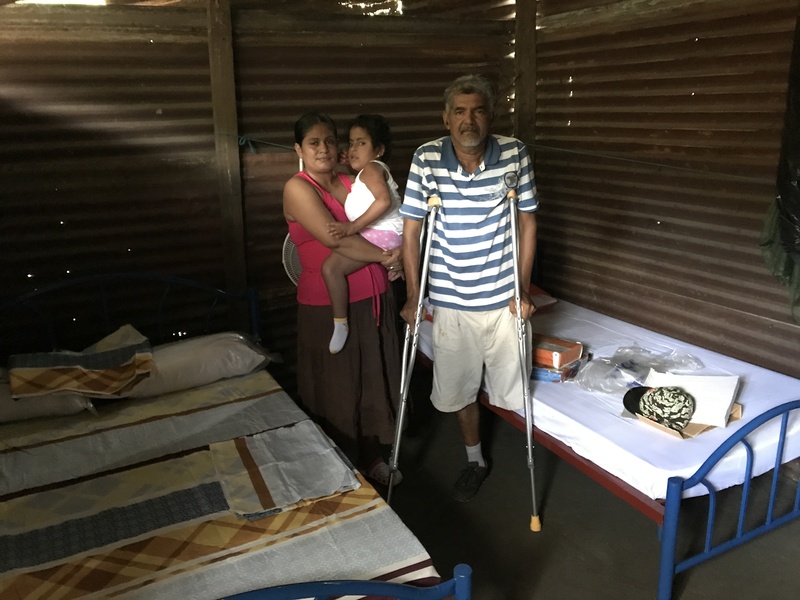 Finished project with new beds, mattresses, sheets provided by Advantage Controls, Muskogee, OK. An oscillating fan & new crutches for Julio. 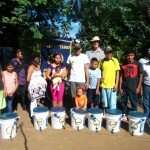 The past three weeks has been full of water filter trainings and distributions in collaboration with Jaime Belden & Liz Nicole of the Future Roots Project People in these communities who collect rainwater, from the ground and any other place they may be able to find it, use these bucket filters to provide purified water to their families. 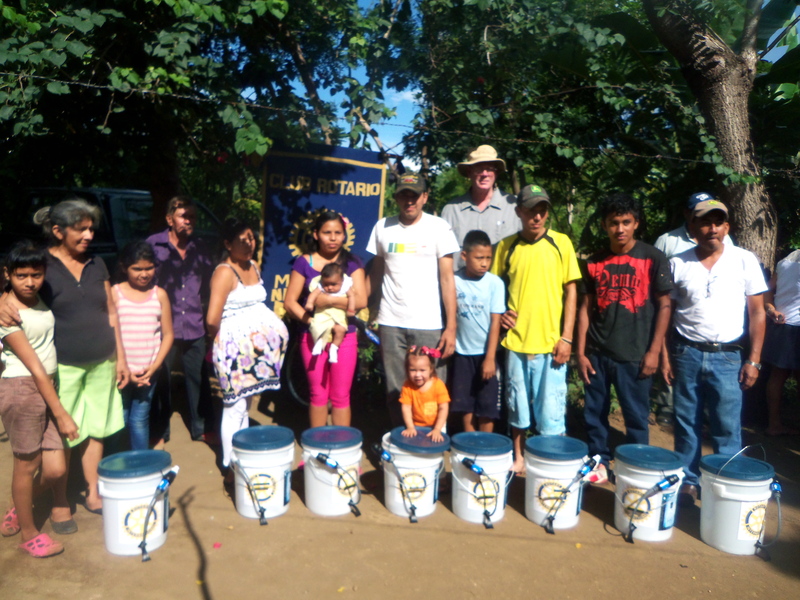 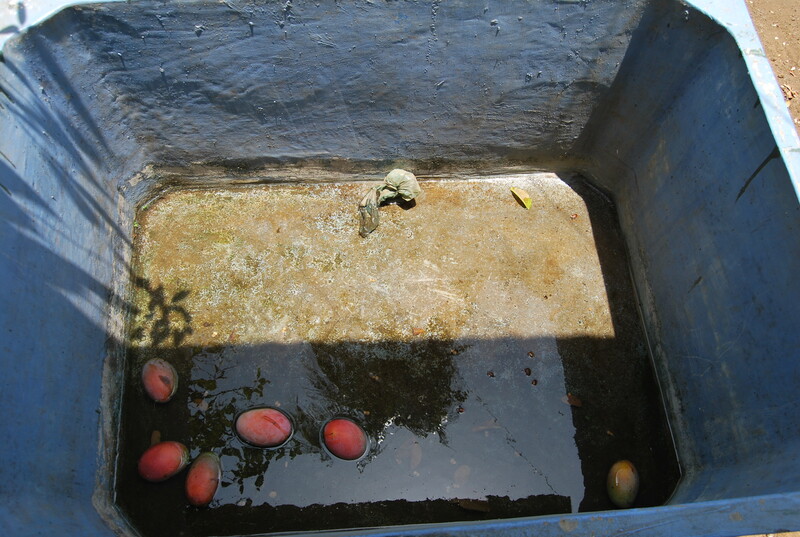 In a country where clean water is hard to find for drinking or cooking, these Sawyer filters are a blessing and we have been repeatedly thanked or gifted mangoes in appreciation. 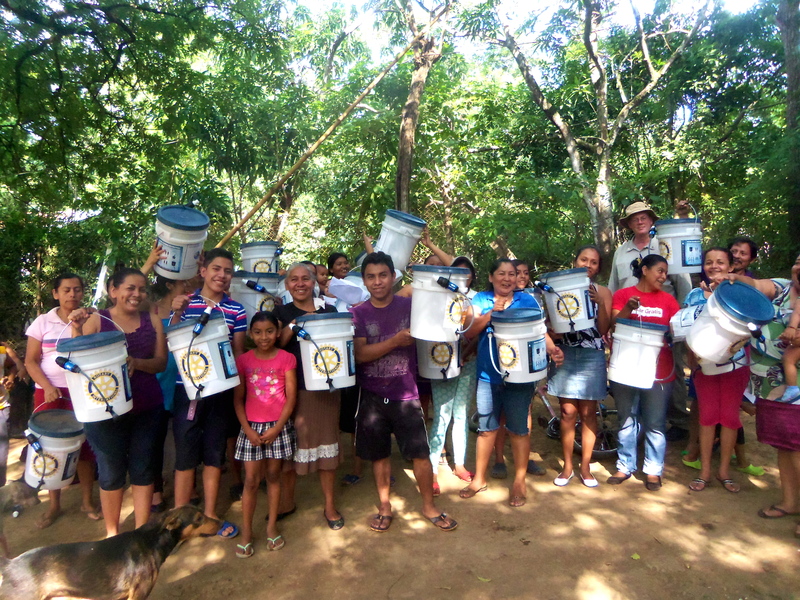 300 filters have reached 1349 people in a total of 8 communities. 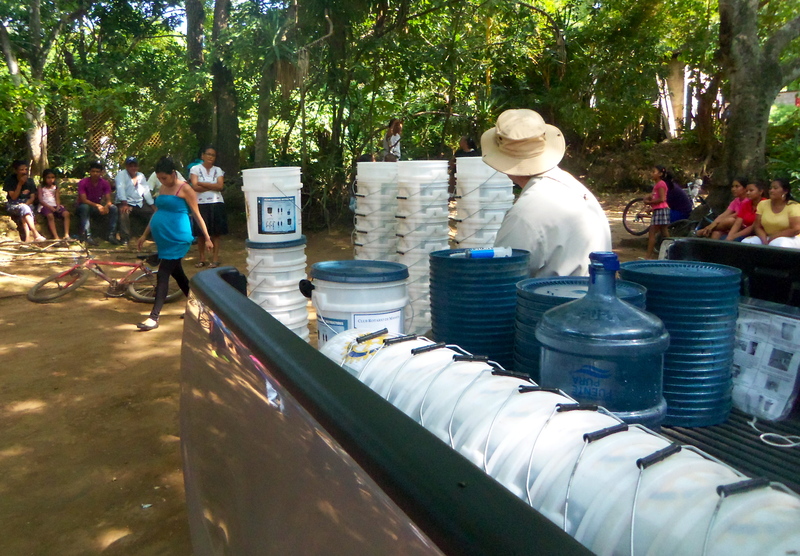 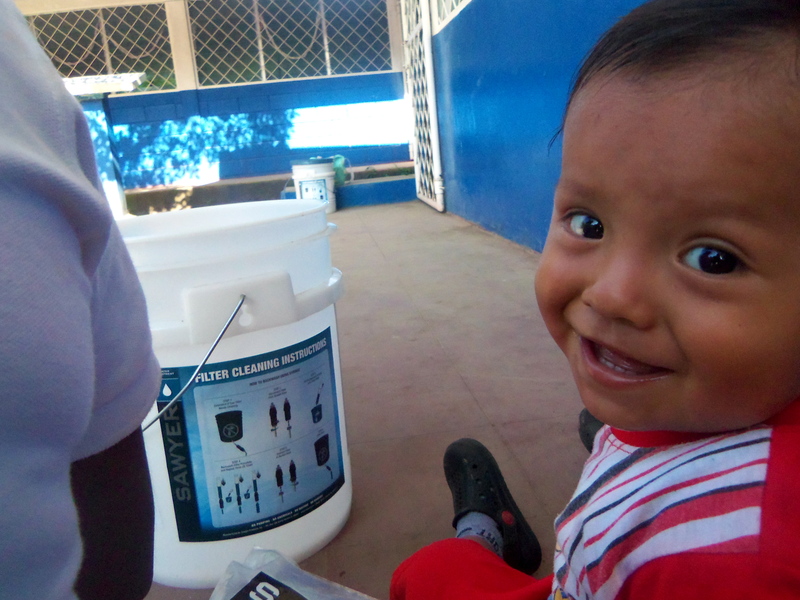 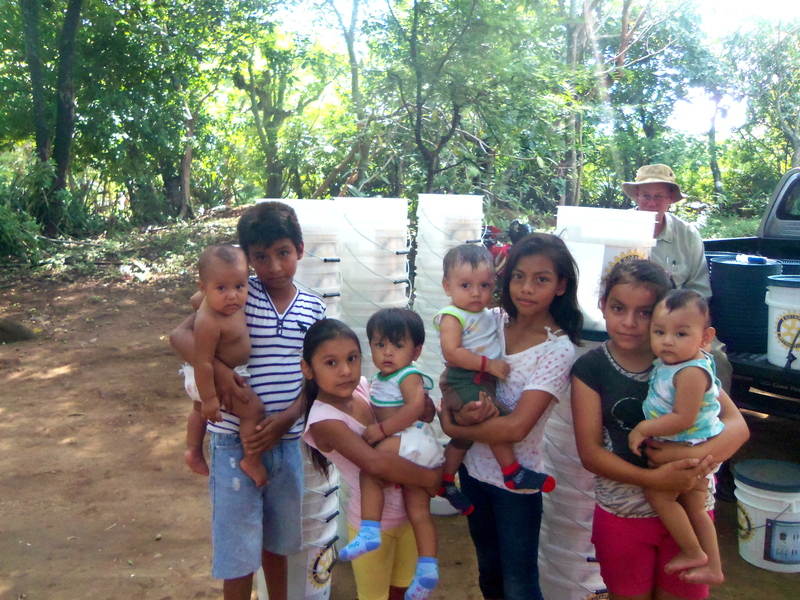 This is not the beginning or the end of this amazing project, to date 650 filters have been distributed throughout Nicaragua and next year, SAFE WATER PLUS(+) will return for another distribution. 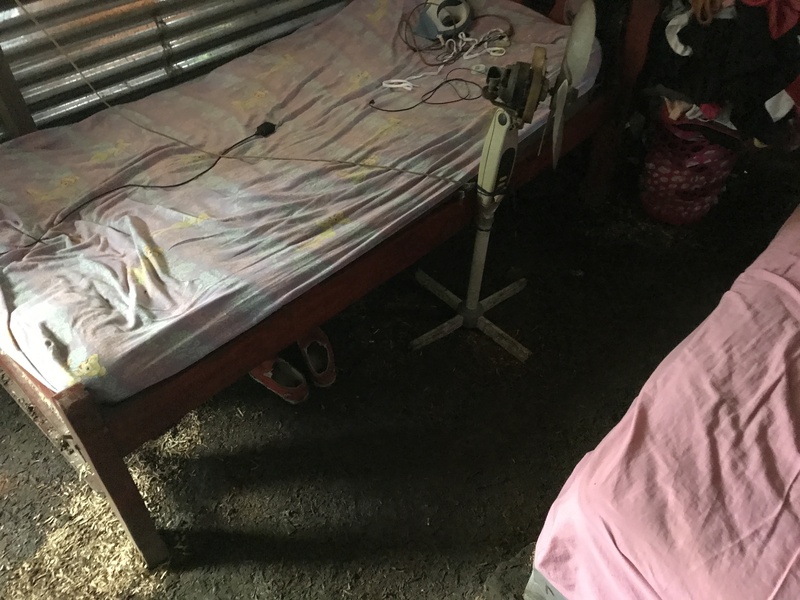 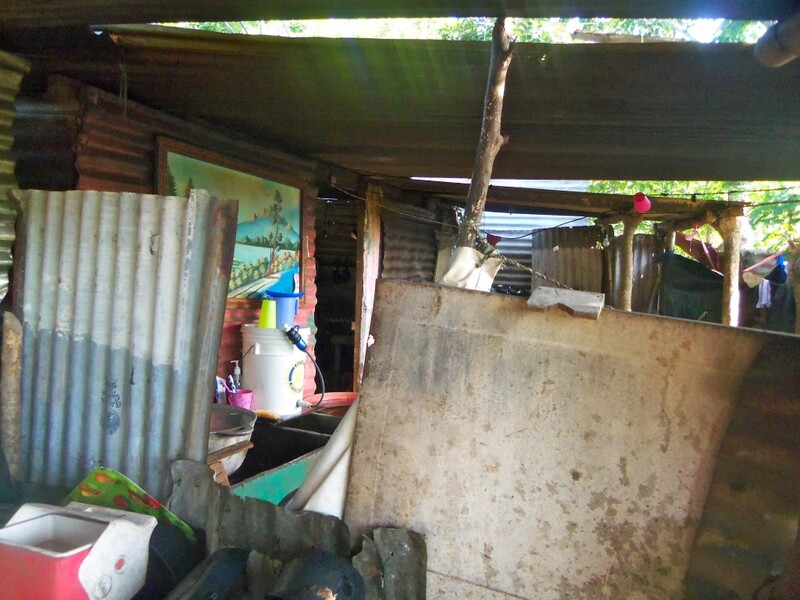 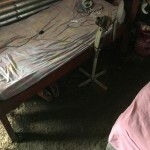 It is almost impossible to describe the conditions that some of these families live in; some live a few meters from the landfill and deal with a terrible infestation of flies. 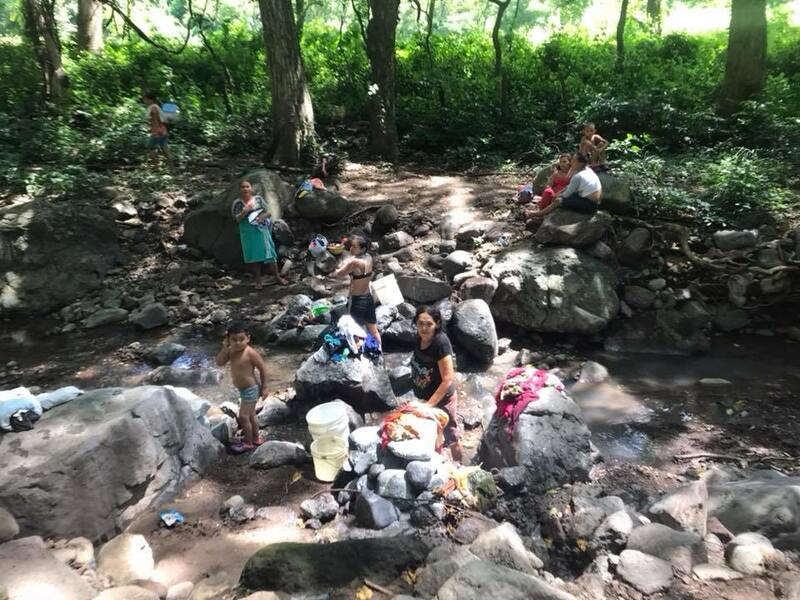 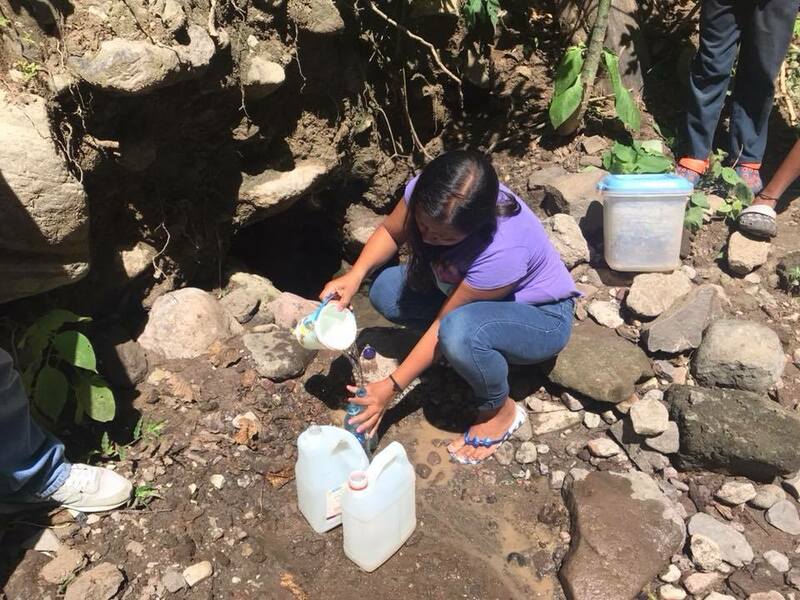 Others find themselves and their children sick from waterborne illnesses because they have to scoop water from a hand dug ditch for their drinking water. 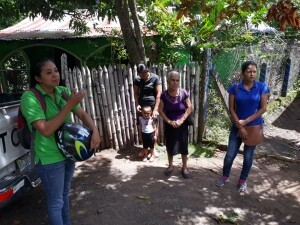 And others deal with mosquitoes that carry diseases like Dengue Fever and Chikungunya, both causing dangerously high fevers that can be fatal. 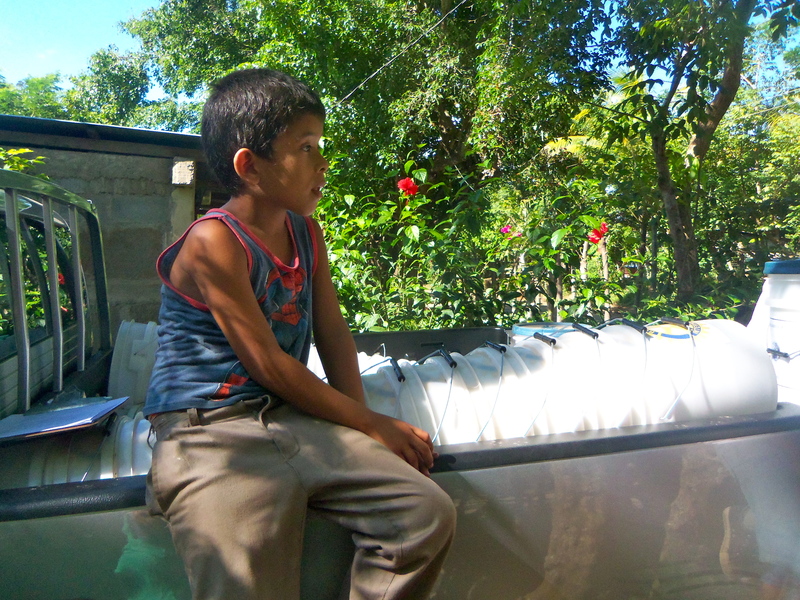 Others have no option but to buy water from a tanker truck that may or may not pass by their homes every 8-15 days. 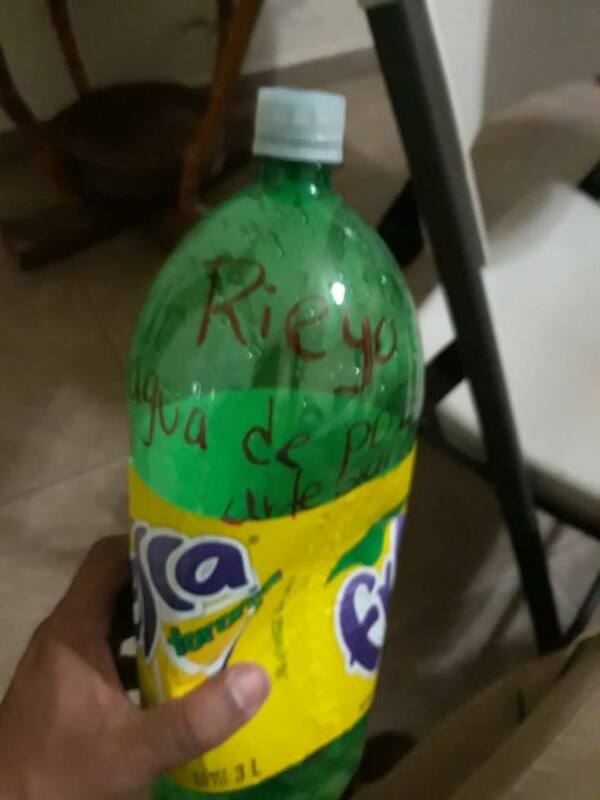 This filter was given to the family over a year ago, they use it daily. 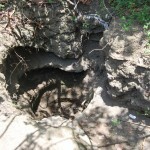 One of the filter parts was outdated, so a new piece was installed. 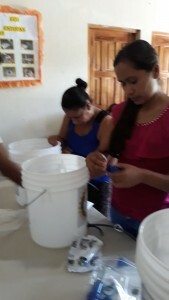 It has been a pleasure to assist in the distribution process, which includes interviews, assembling bucket filters, and post-surveys. 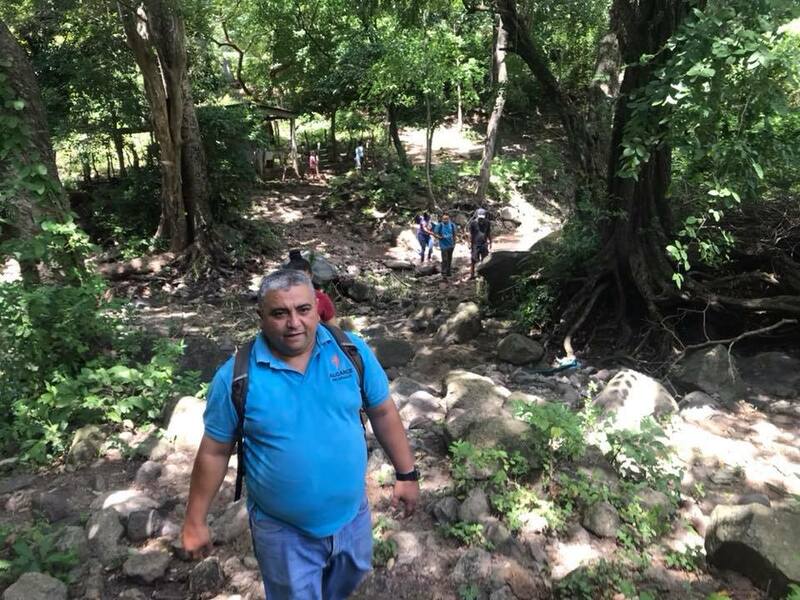 We have met many new people who have helped us organize these community gatherings, such as Leonel, who is a member of the El Tunel, an barrio located outside of Masaya. 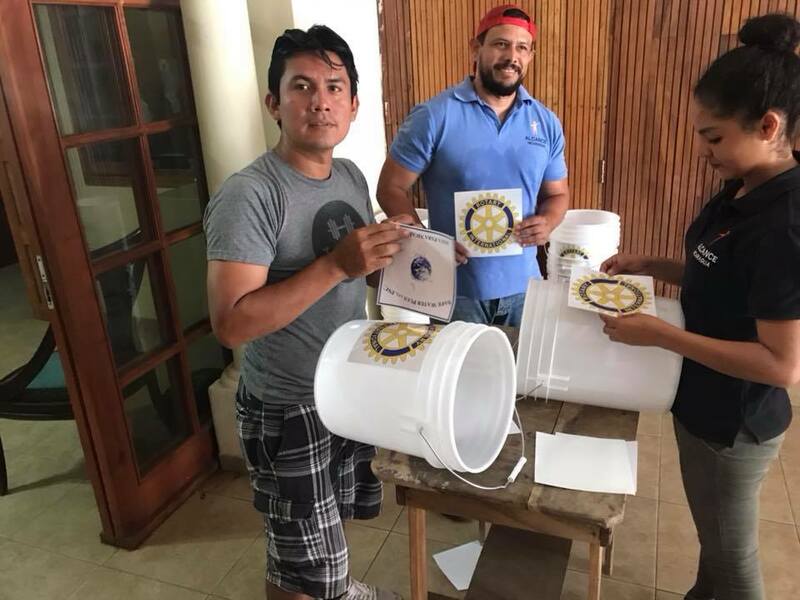 He has become our newest contact person for this group of people and has extra parts to repair any bucket filter that many have an issue. 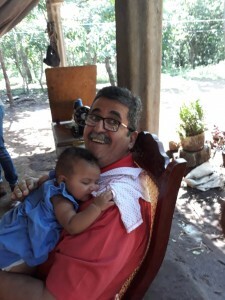 We cannot thank him enough for his help and look forward to seeing him in the new future. 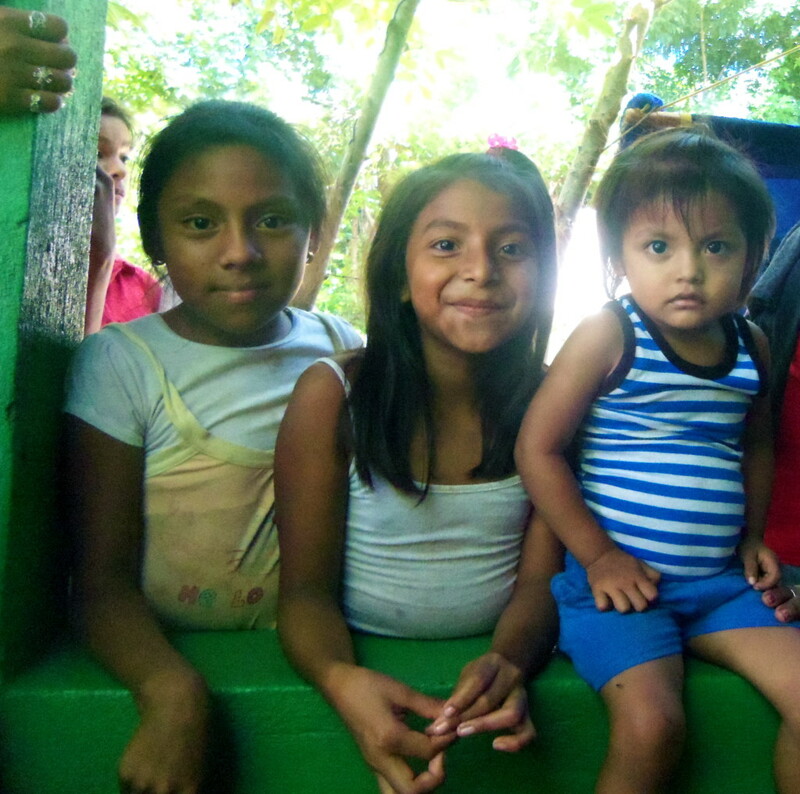 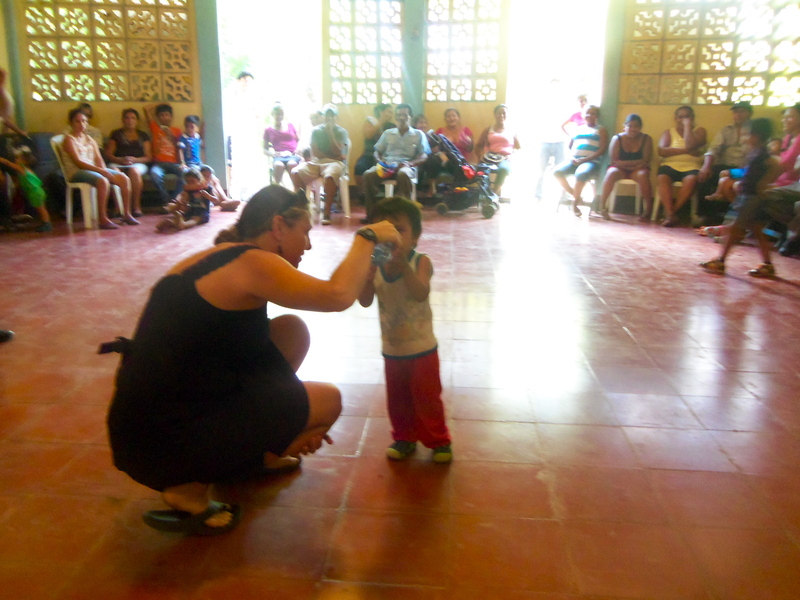 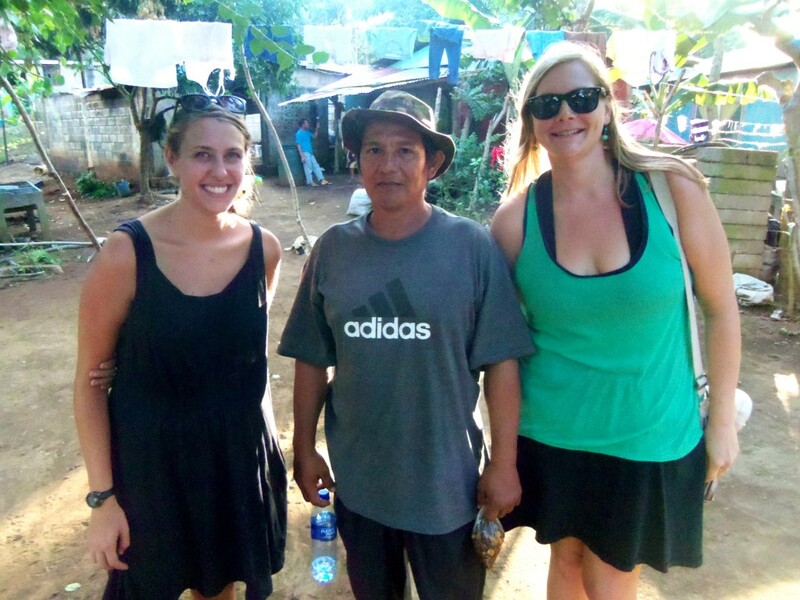 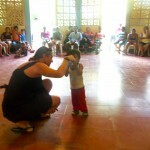 As educators Jaime & Liz are always pleased to meet the children of these communities. 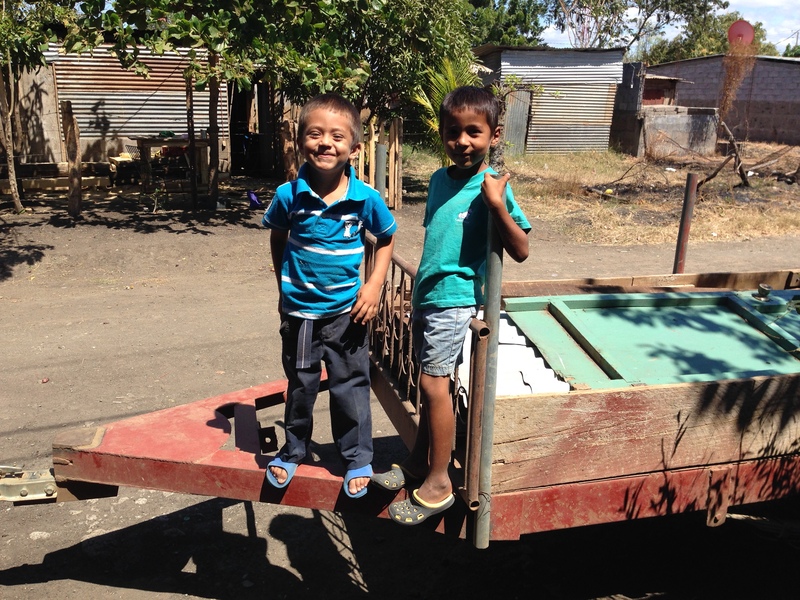 These kids live rough, rural lives and may have to walk miles to get to school, but we are thankful that they at least have the opportunity to drink clean water that will keep them healthy and happy. 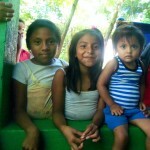 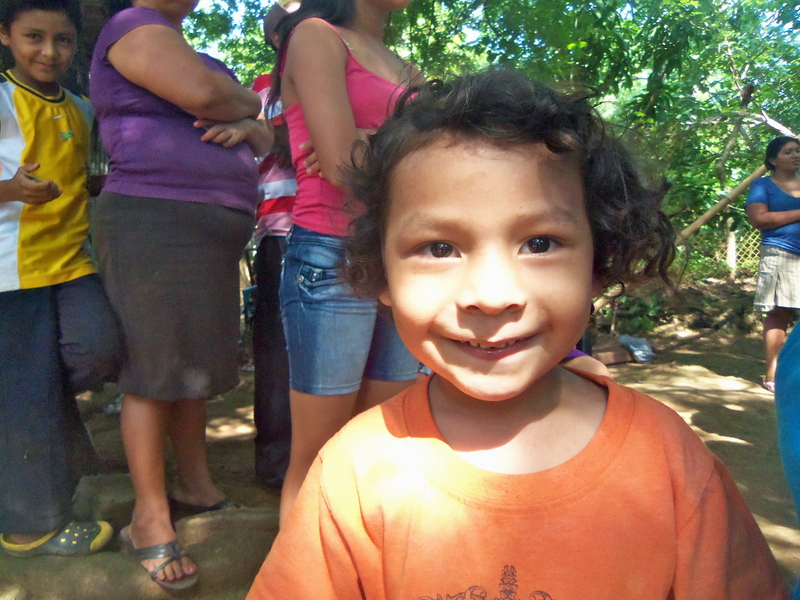 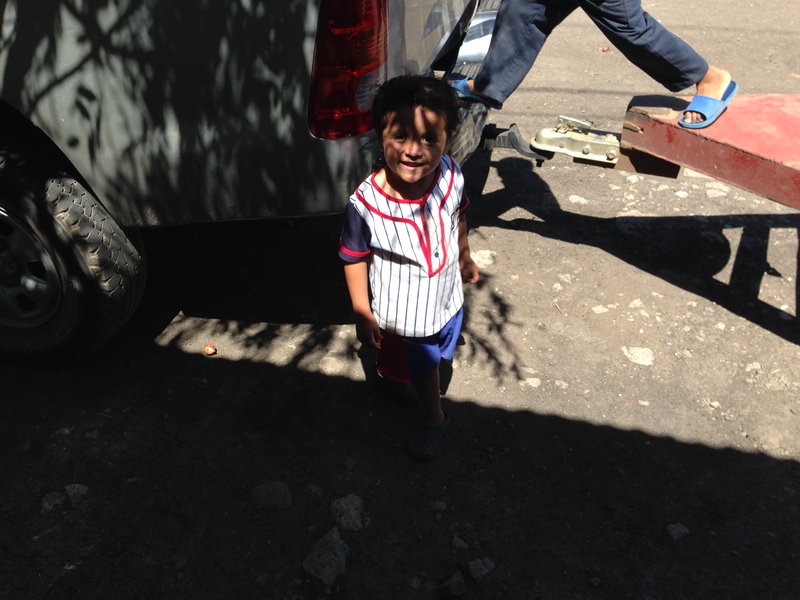 Of the 1349 people reached these past three weeks, 536 have been children. 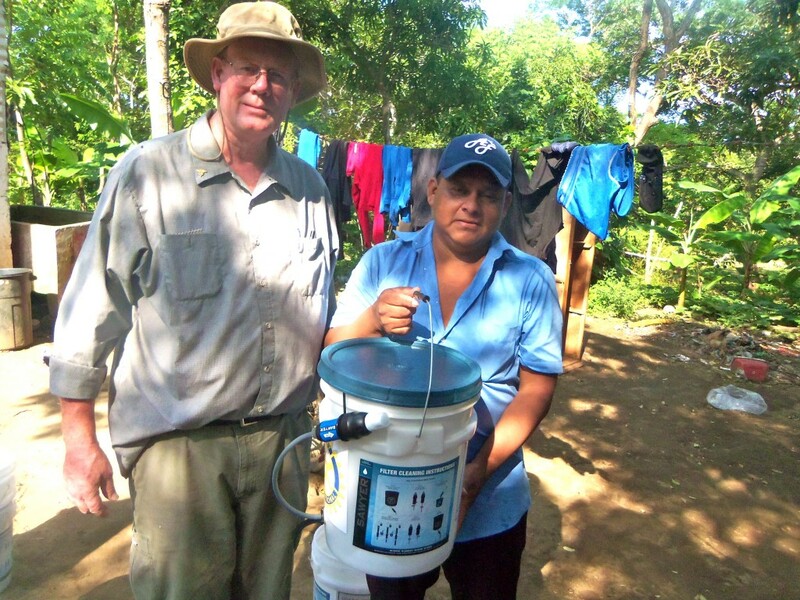 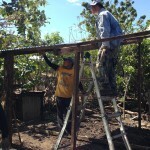 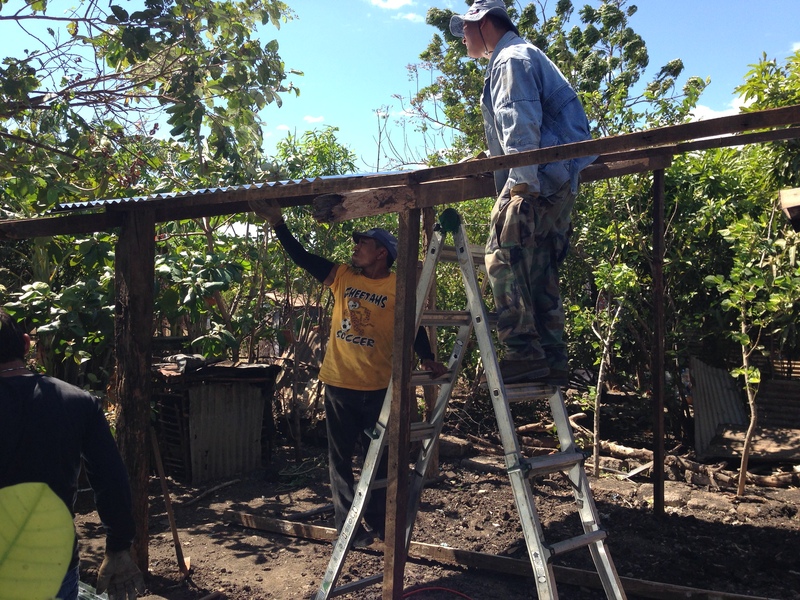 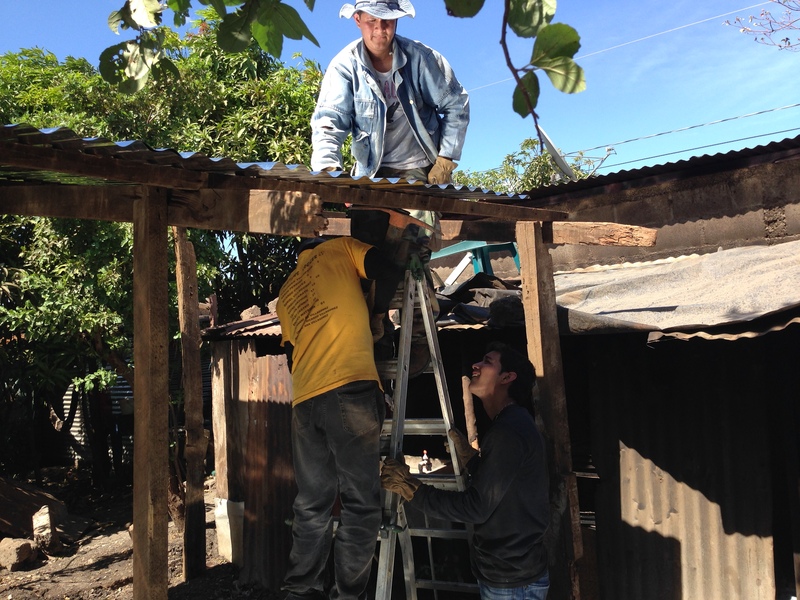 Again, we have to thank our contributors for helping to provide clean water to the people of Nicaragua. 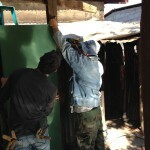 We look forward to working here long into the future.